This is one of my favorite courthouses, just beautiful. It was renoved not too long ago and an elevator was added. The courthouse was featured in a Bette Davis movie, “As Summers Die”, in 1986. Bette’s co-stars in the film were Scott Glenn and Jamie Lee Curtis. The architect for this was my great-great-grandfather, John Wind. 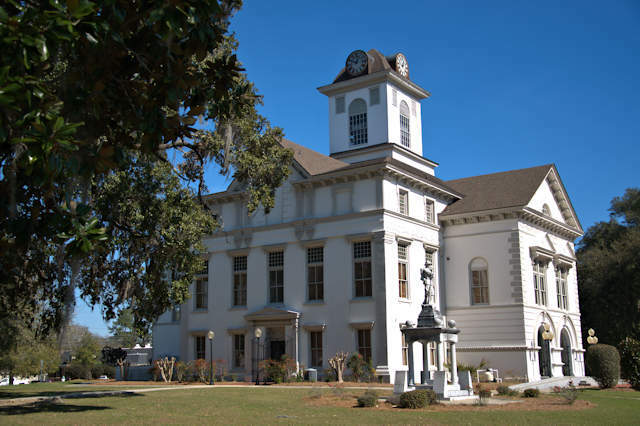 He was also the architect for the Thomas County courthouse as well as several plantation homes in the area.